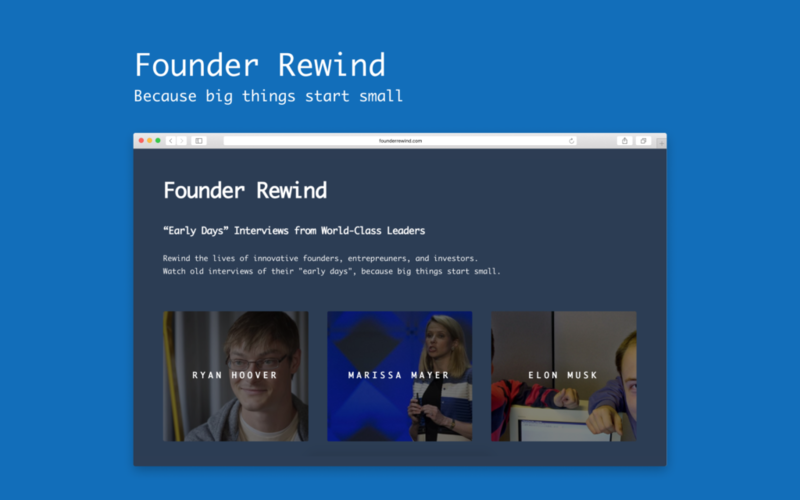 Today, a few friends and I launched a small project called Founder Rewind. It is basically a curated list of “early days” videos from numerous entrepreneurs and world leaders. The idea behind the project is to show people just how raw and naive many now successful people were when they were first starting out. I think, often times, we glorify people so much now that they are famous that we forget to see them in their most natural form. Anyways, hope you have fun with it! !